Mary is a very beautiful girl both inside and out. She is very sweet and funny. She can be clever and sarcastic and somewhat witty. Her style is all her own. She is artistic and creative. She isn't like everyone else...and that's just the way Mary should be. True to the name this bag is beautiful, both inside and out and has almost too many features to list! 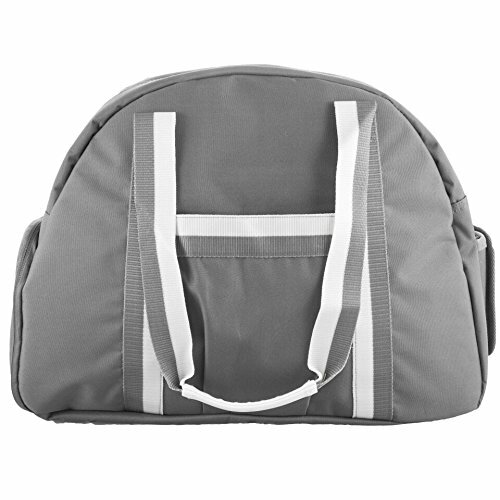 Color Grey with cream and grey detail strap. Silver hardware zipper pulls.